The success of the Smart Grid depends on its ability to collect data from heterogeneous sources such as smart meters and smart appliances, as well as the utilization of this information to forecast energy demand and to provide value-added services to users. 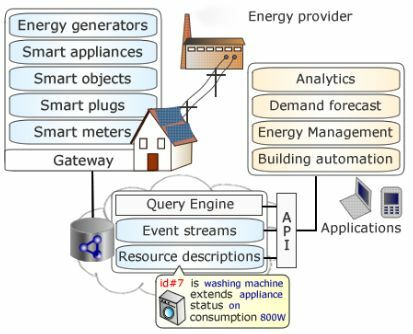 In our analysis, we discuss requirements for collecting and integrating household data within smart grid applications. We put forward a potential system architecture and report state- of-the-art technologies that can be deployed towards this vision. A. Monacchi, D. Egarter, and W. Elmenreich. Integrating households into the smart grid. In Proceedings of the Workshop on Modeling and Simulation of Cyber-Physical Energy Systems (MSCPES13’13) , Berkeley, CA, USA, May 2013. This entry was posted in Publikation and tagged energy usage, household, smart grid, smart microgrid on May 2, 2013 by Wilfried Elmenreich.